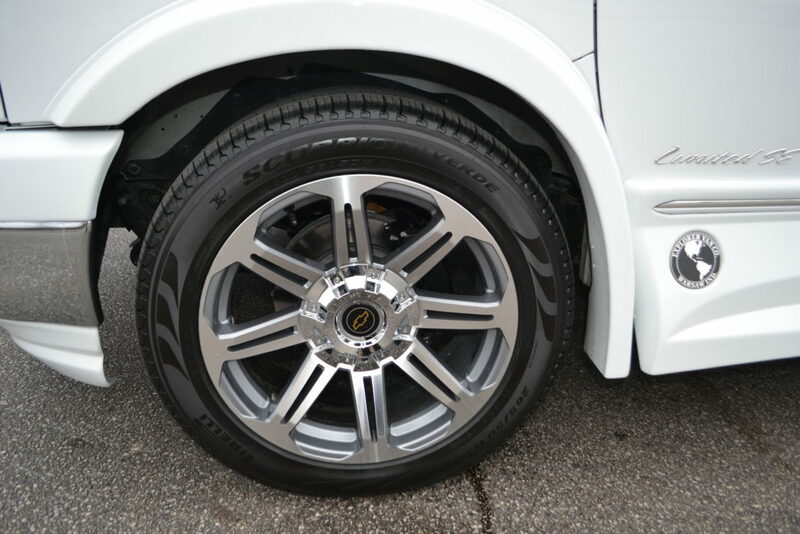 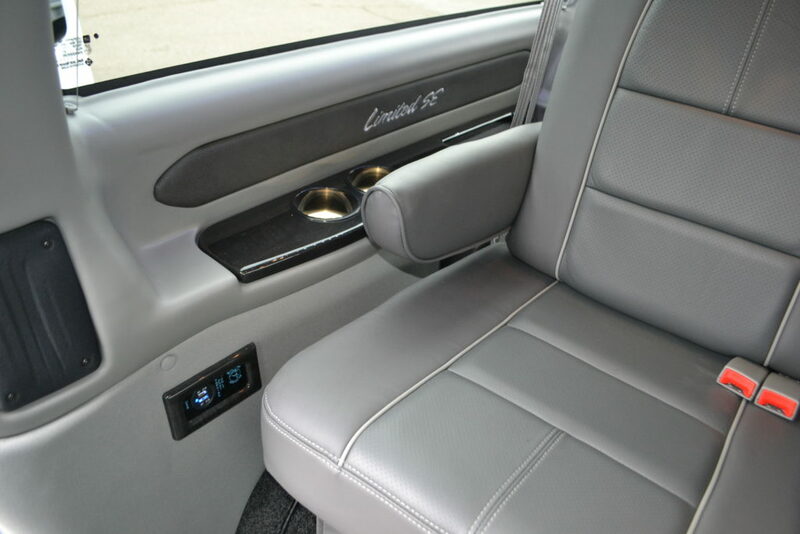 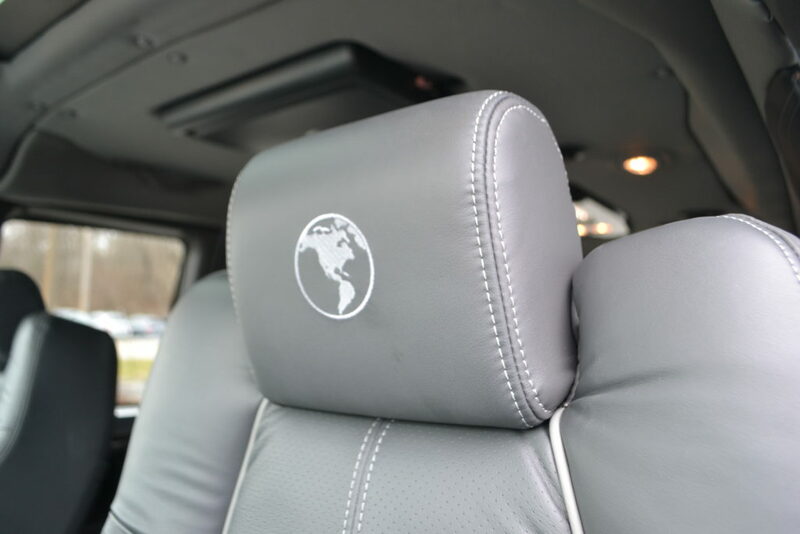 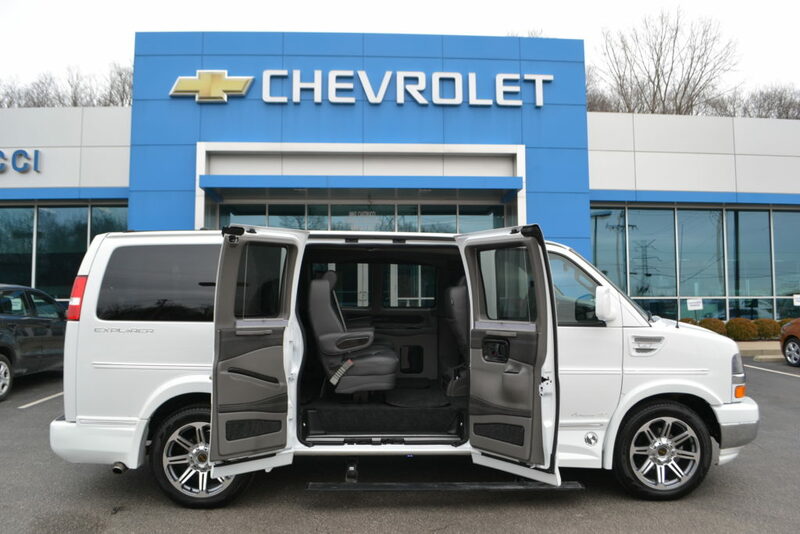 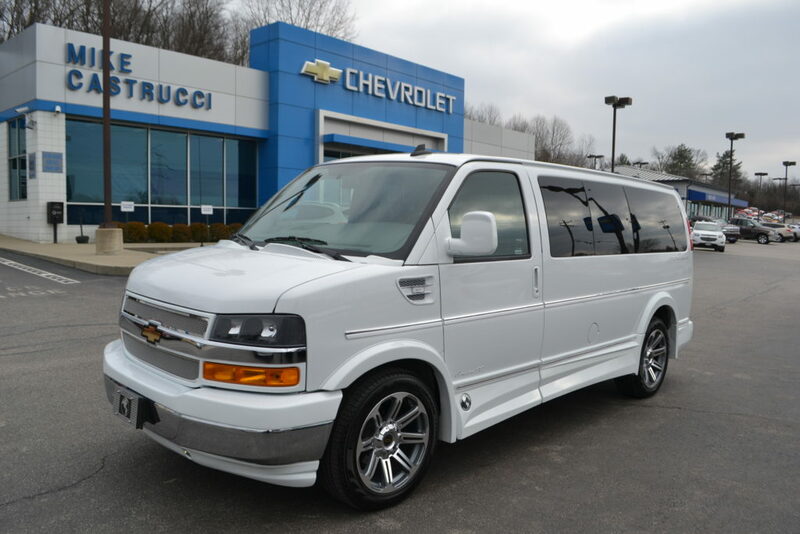 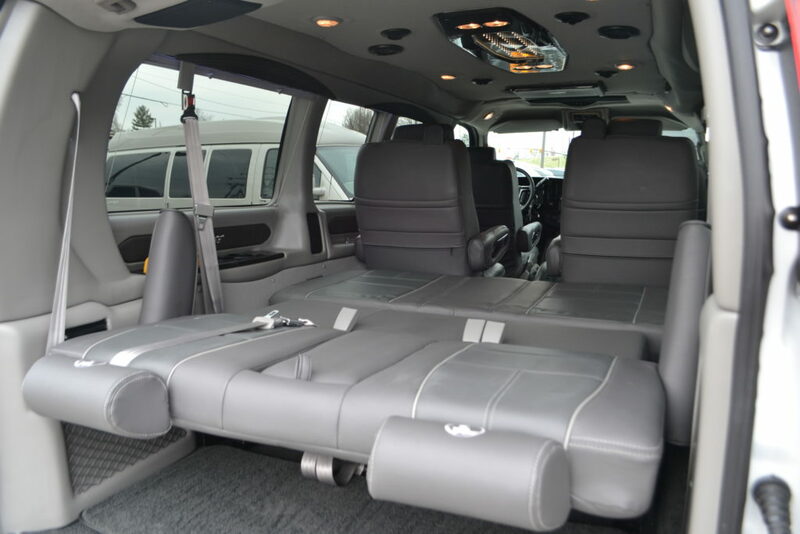 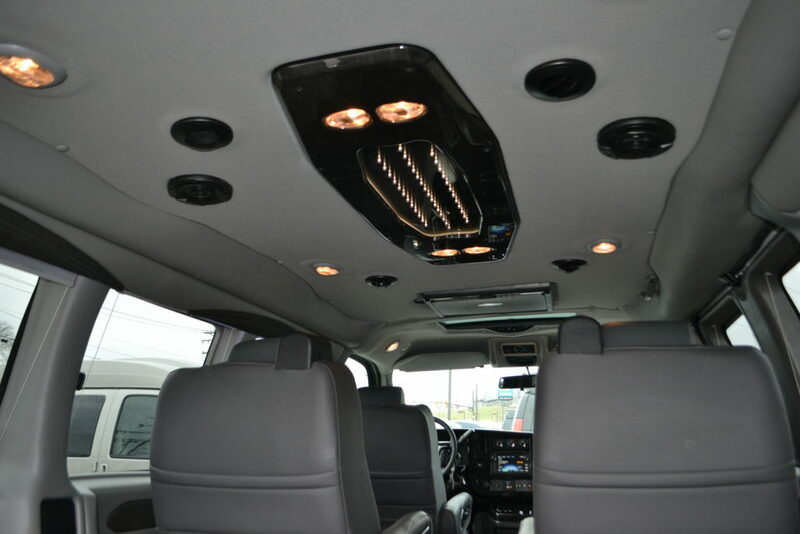 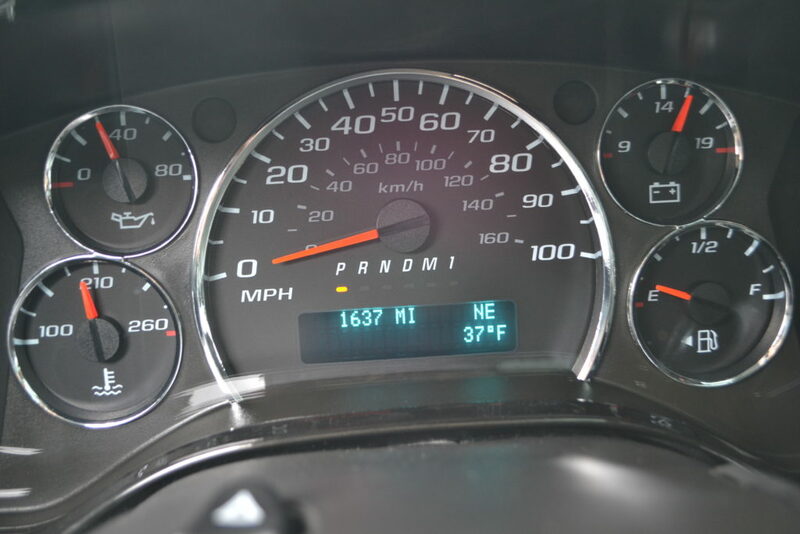 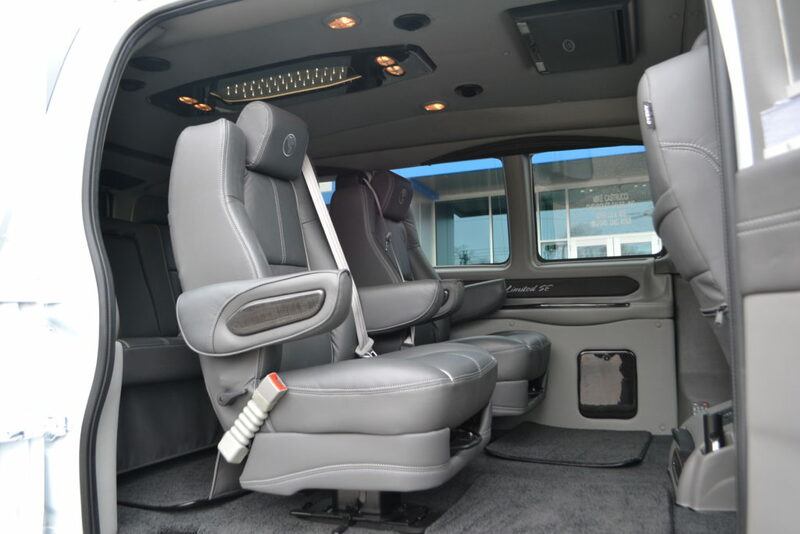 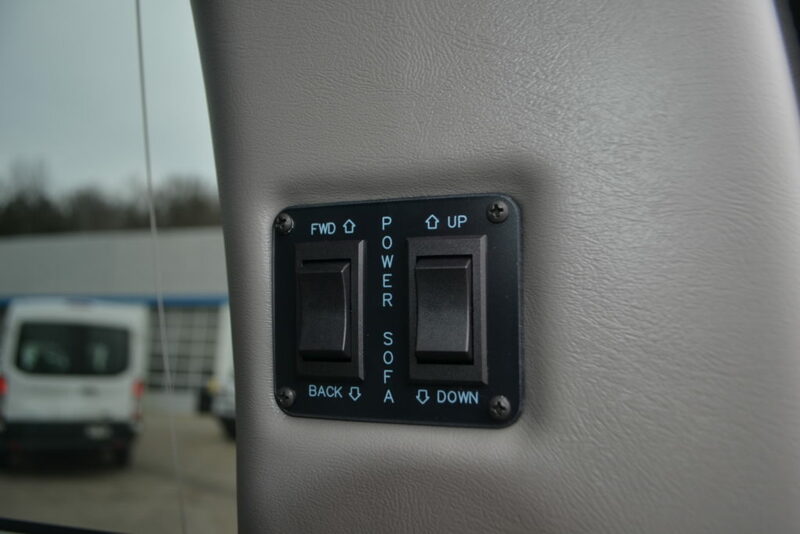 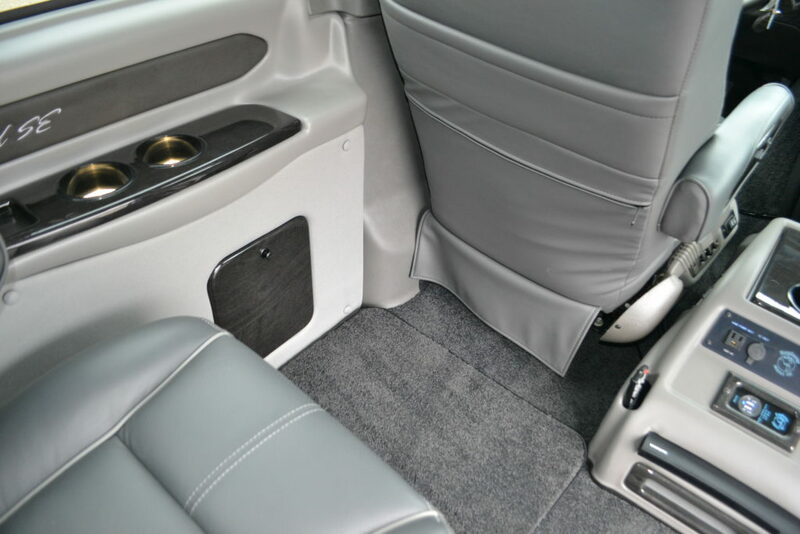 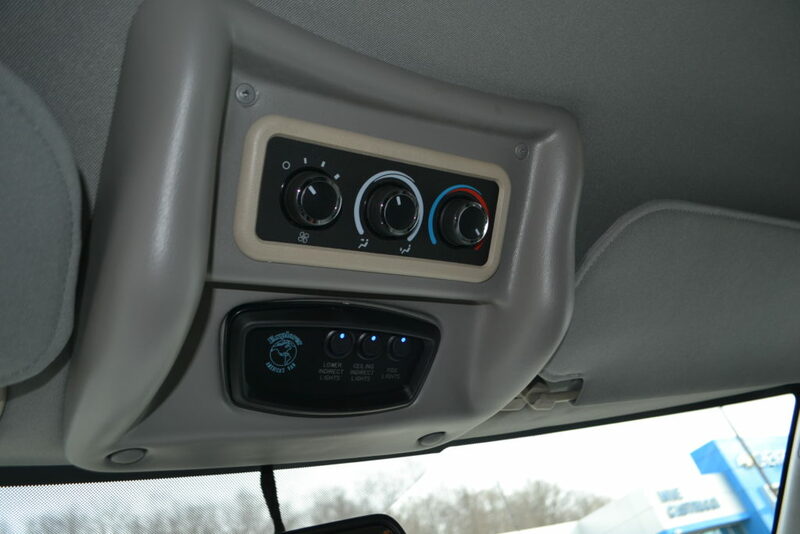 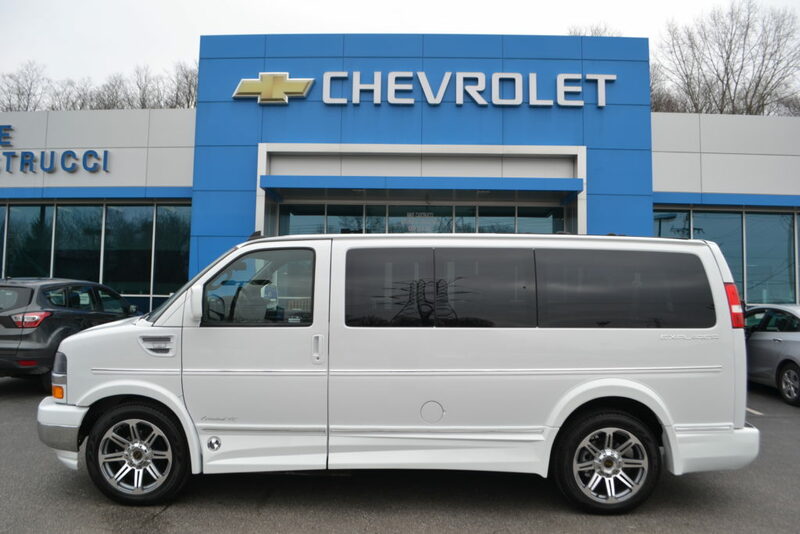 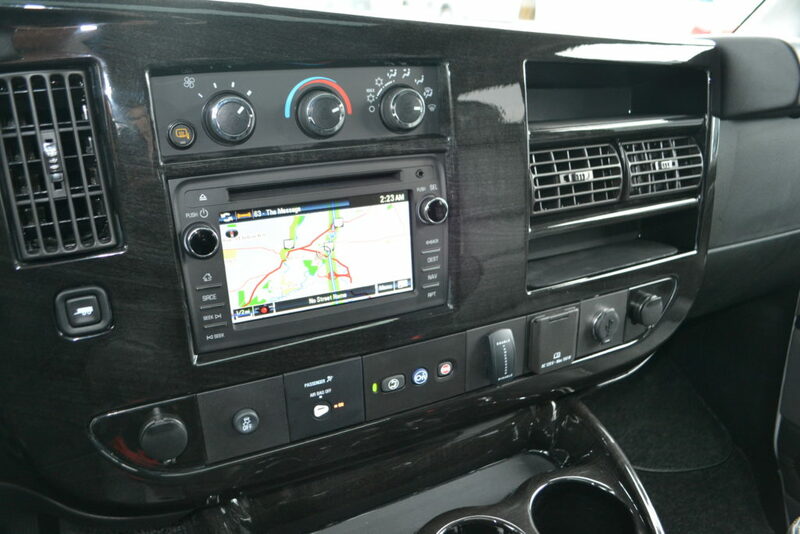 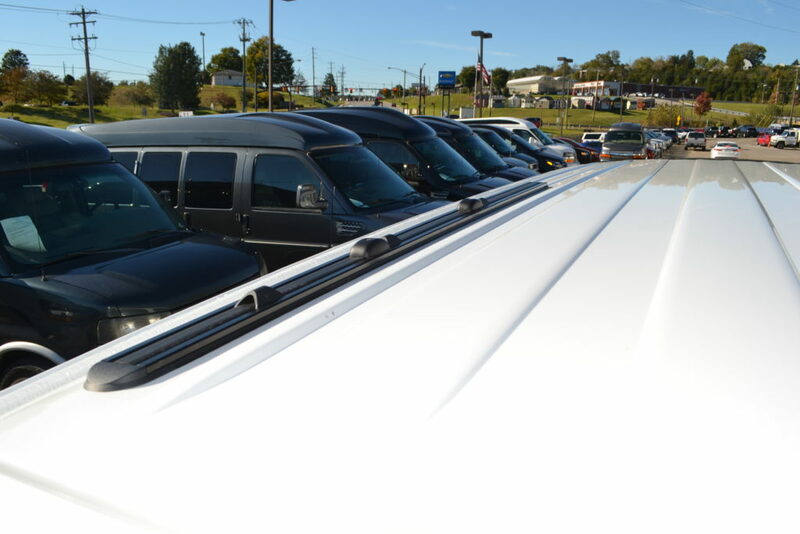 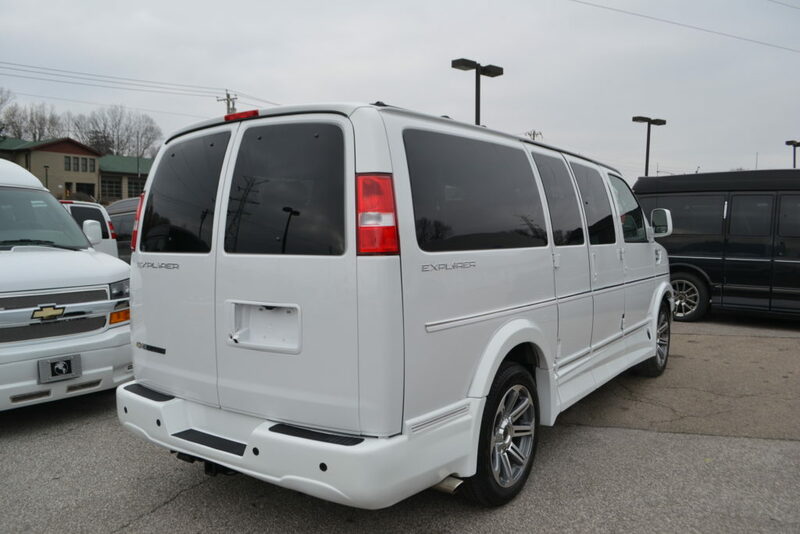 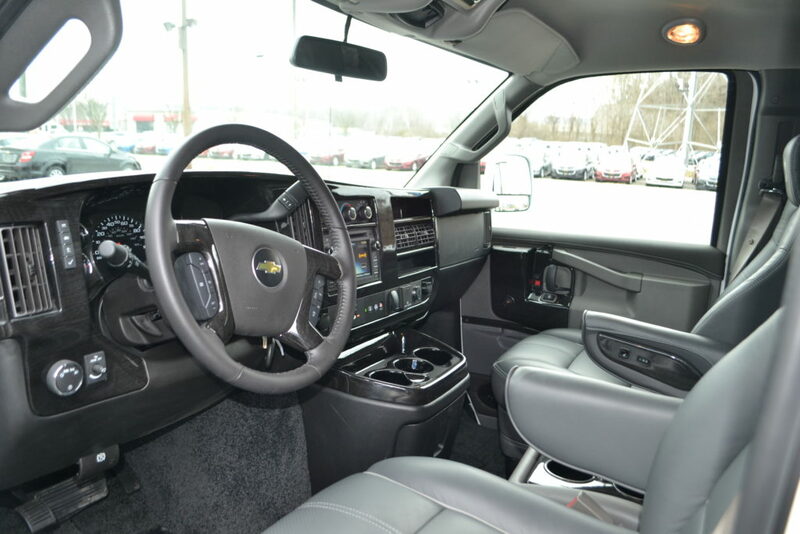 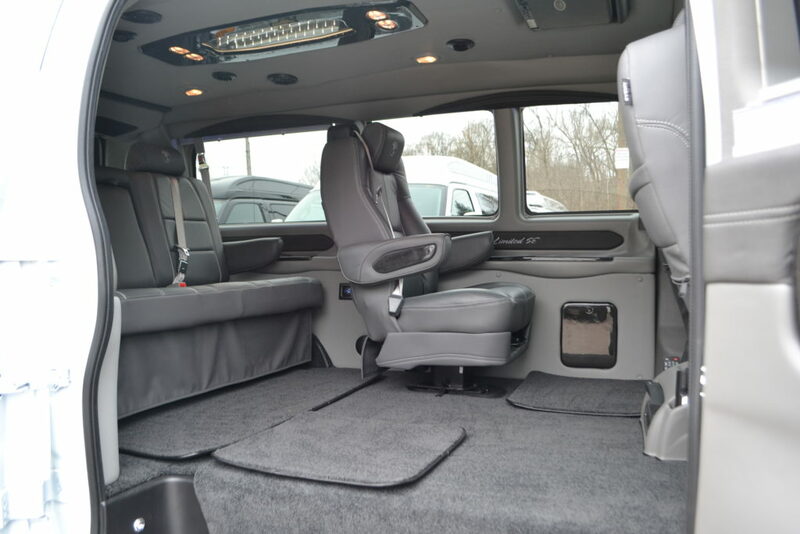 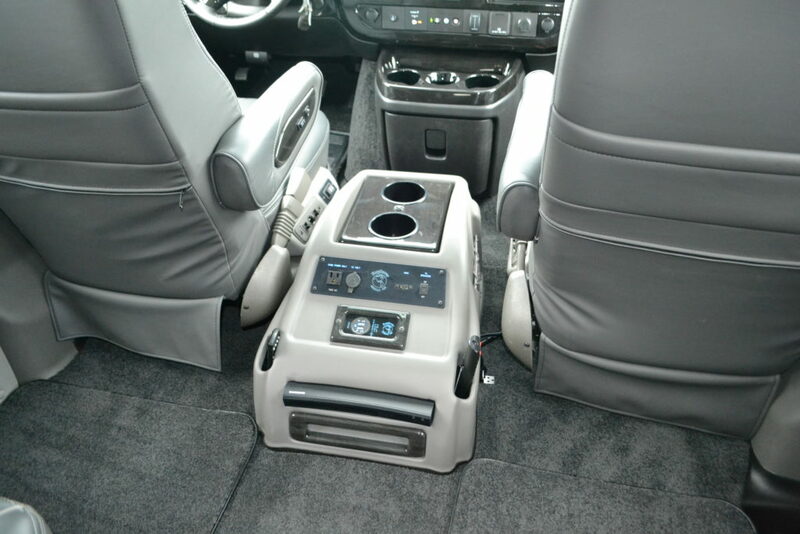 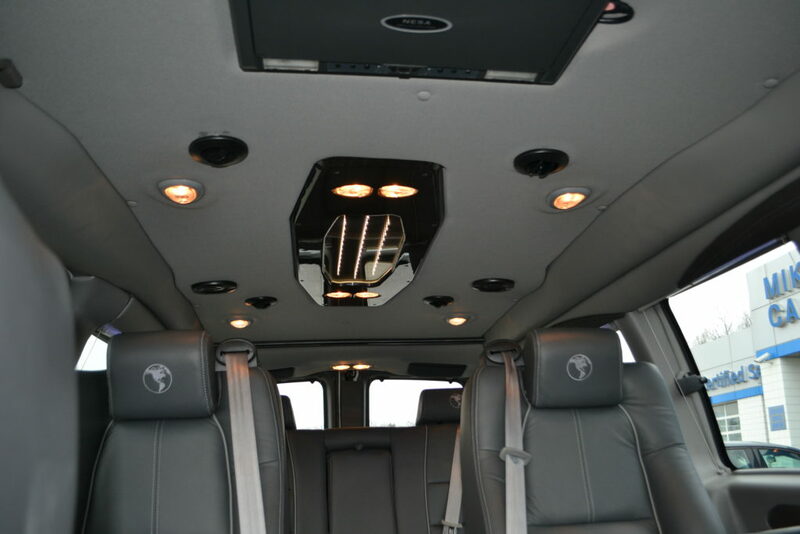 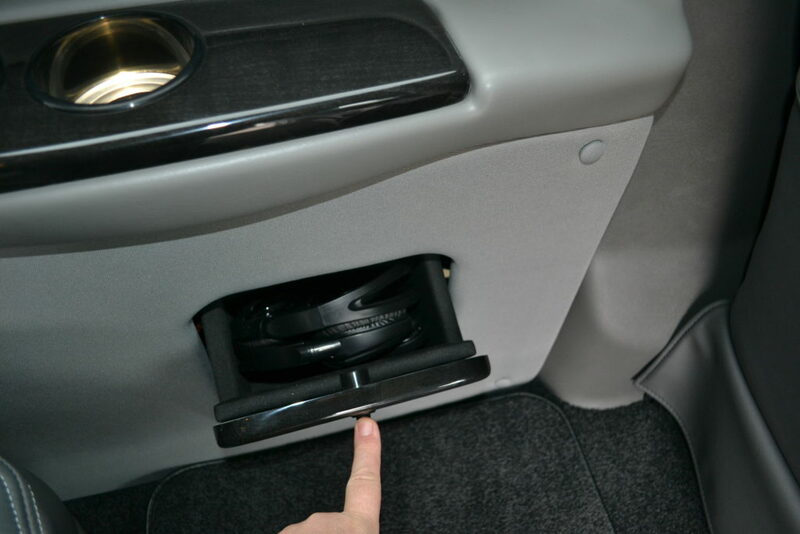 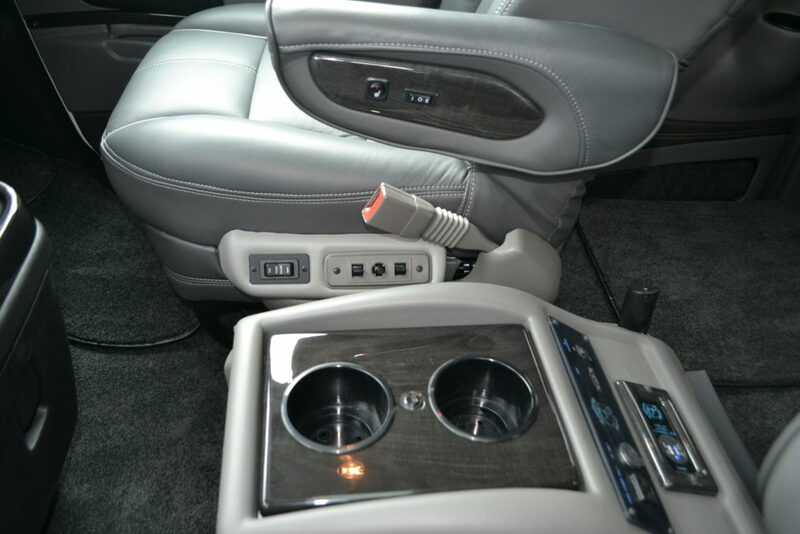 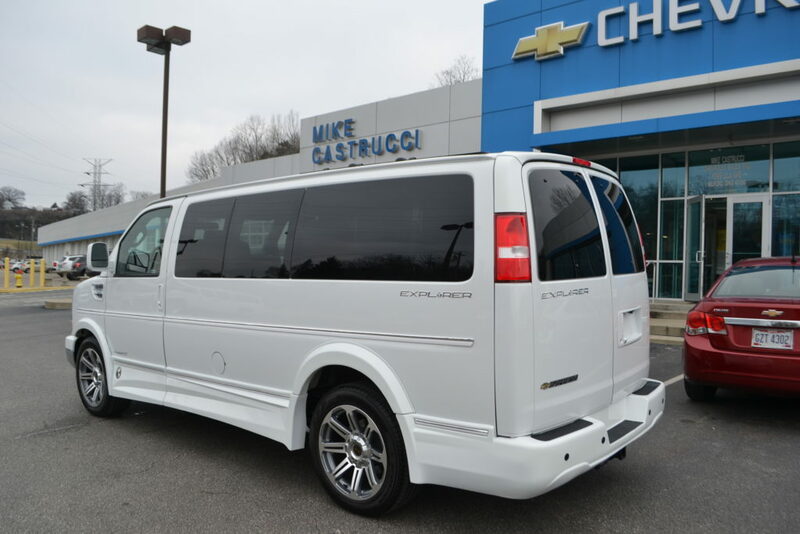 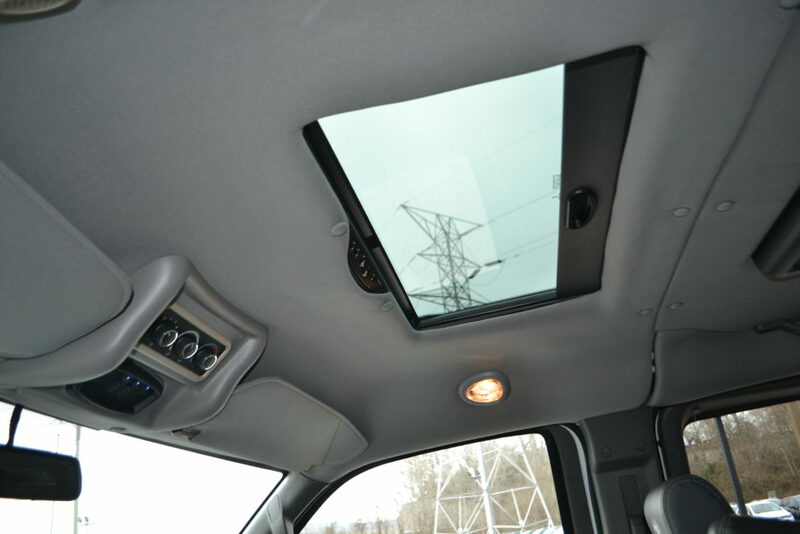 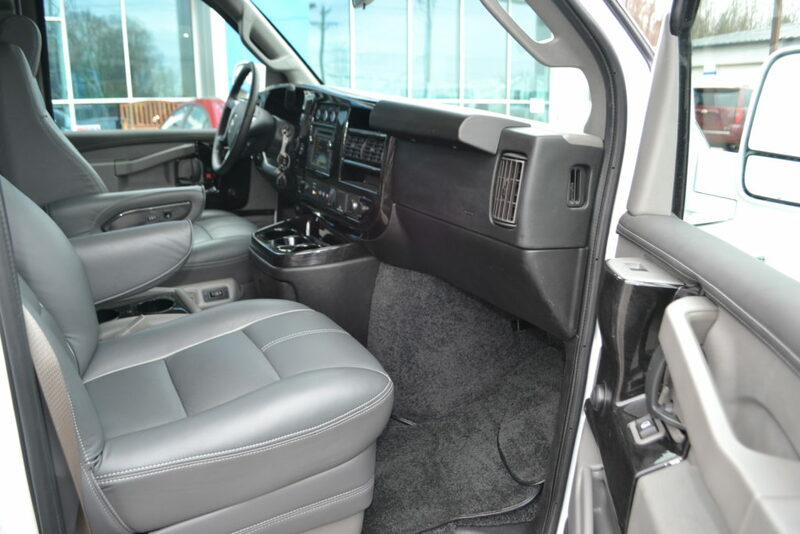 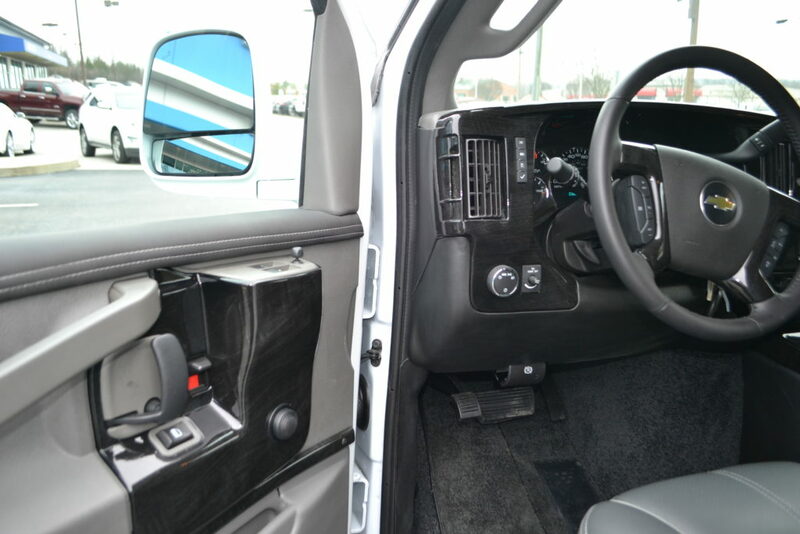 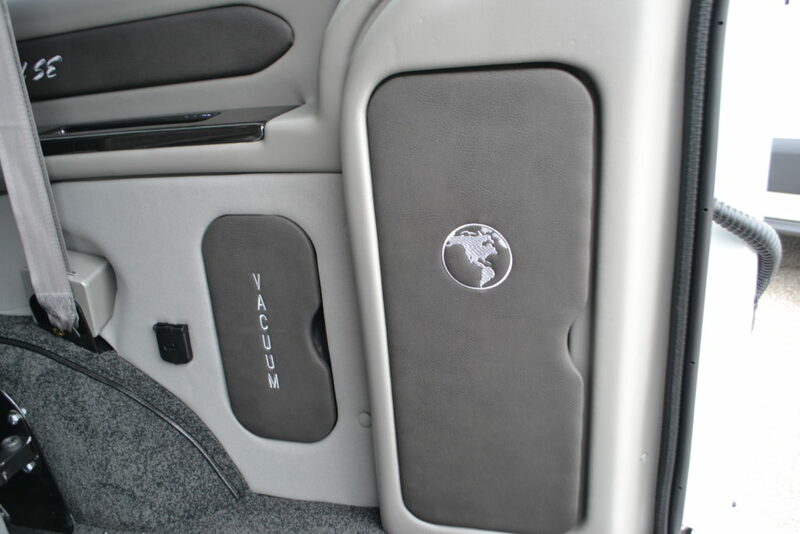 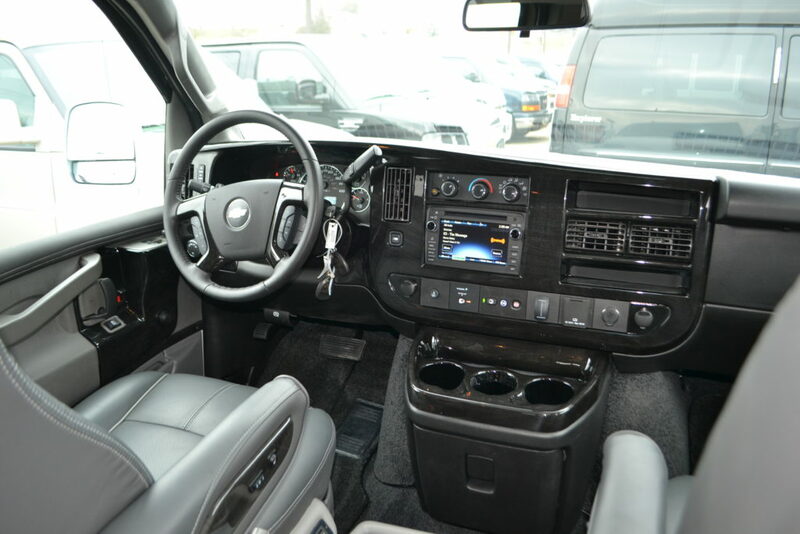 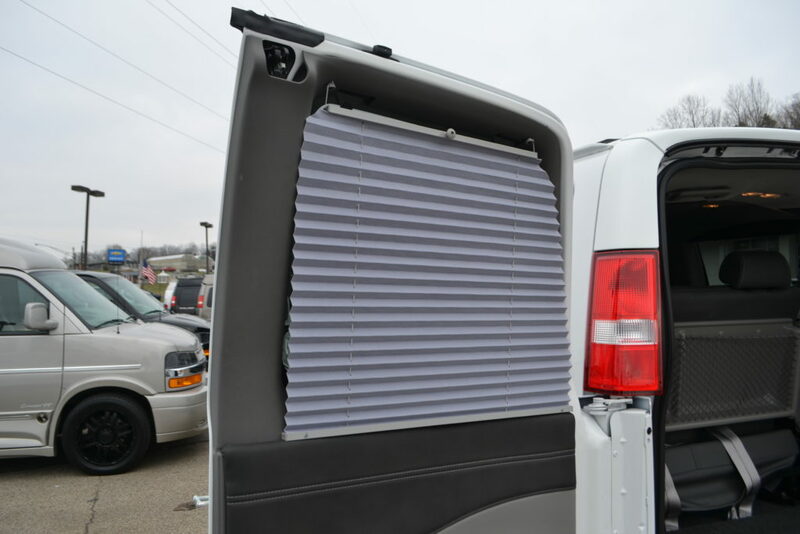 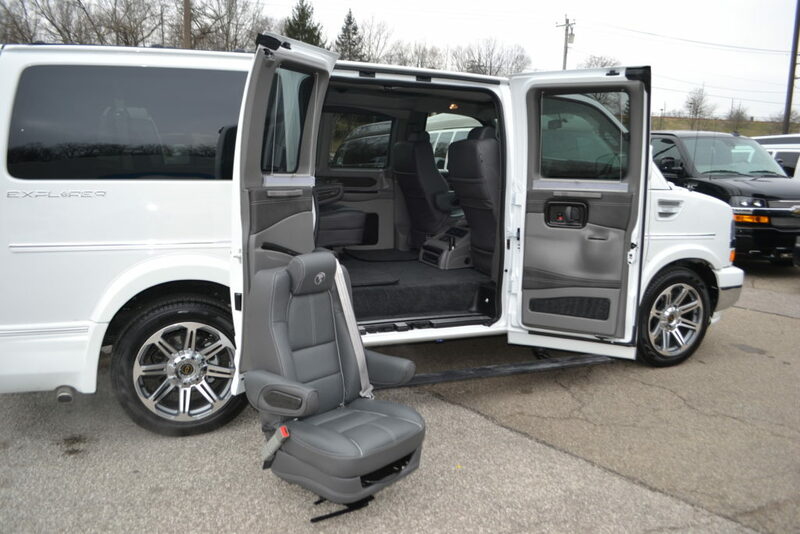 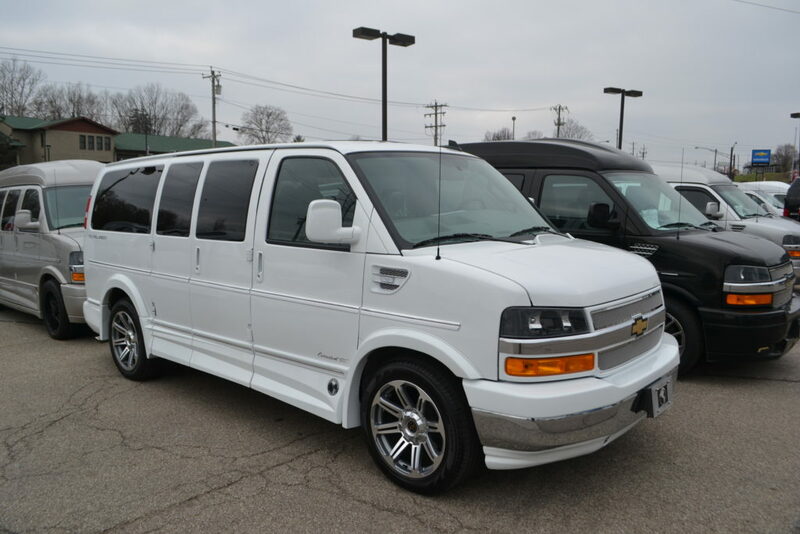 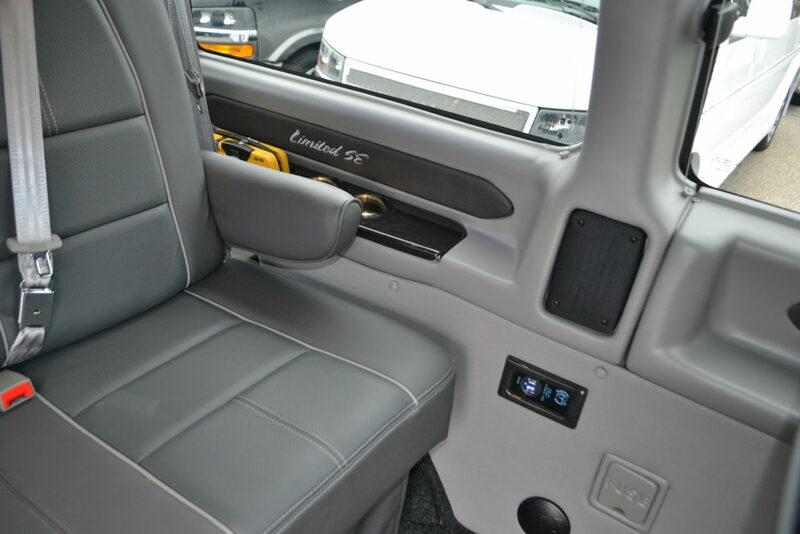 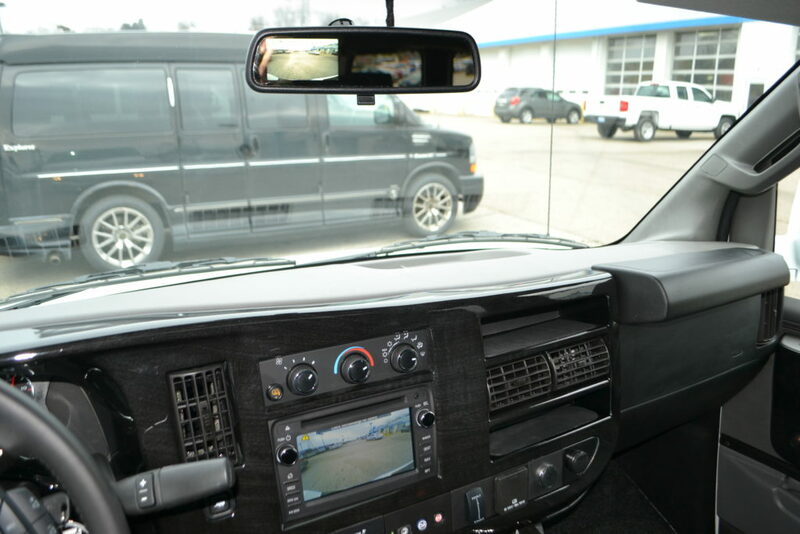 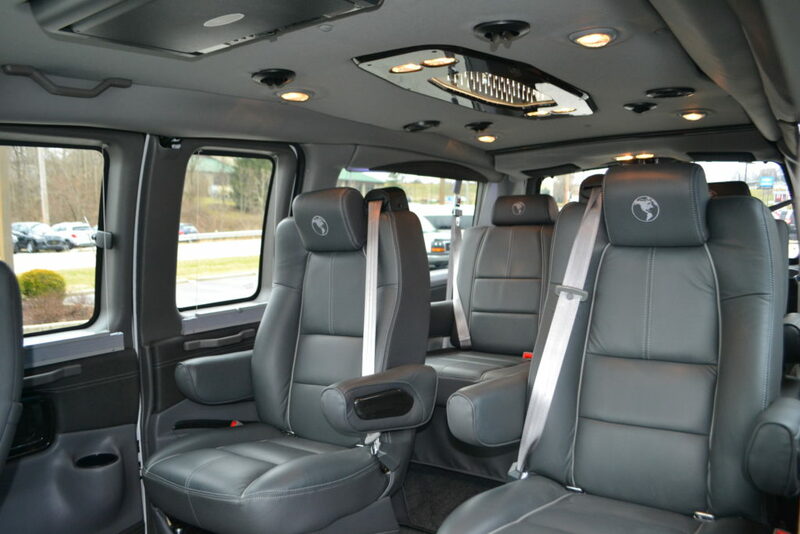 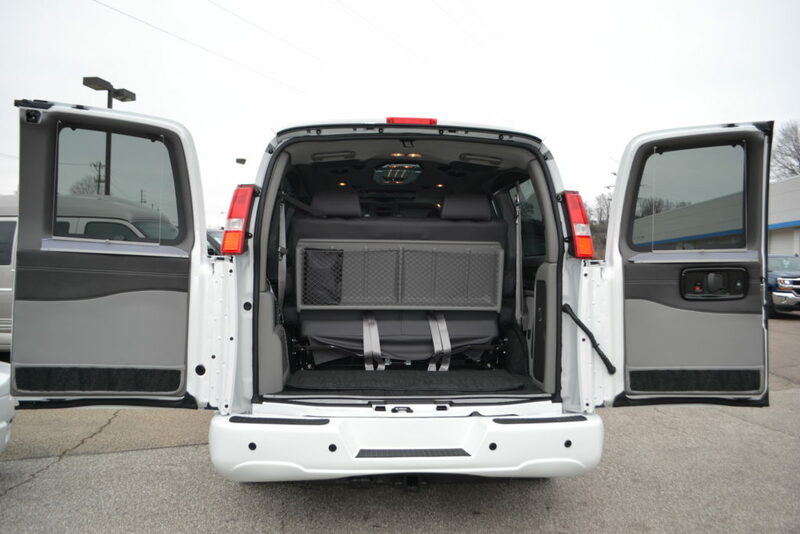 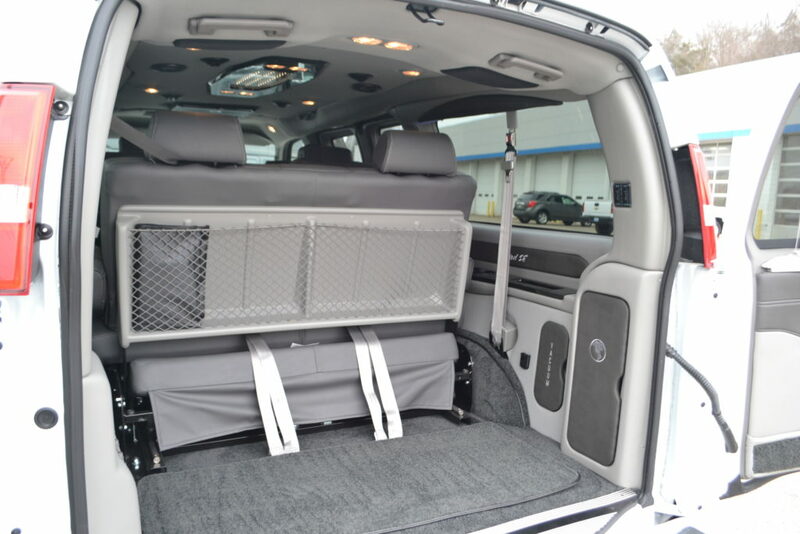 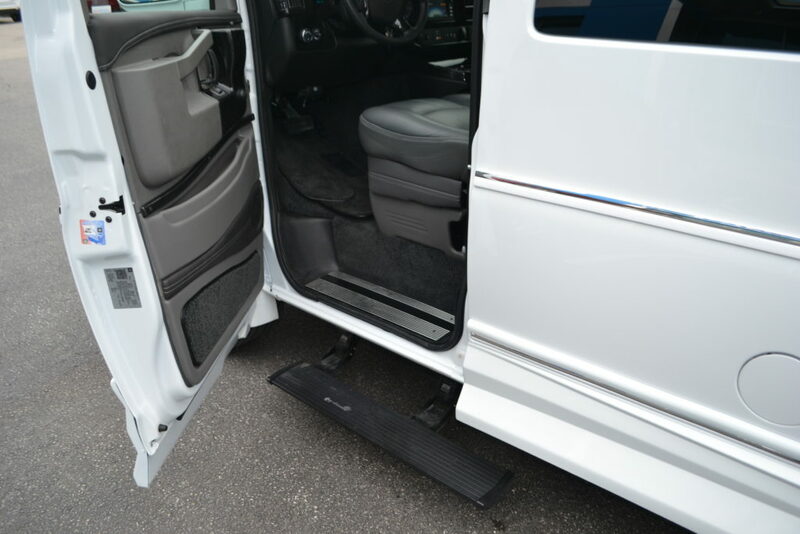 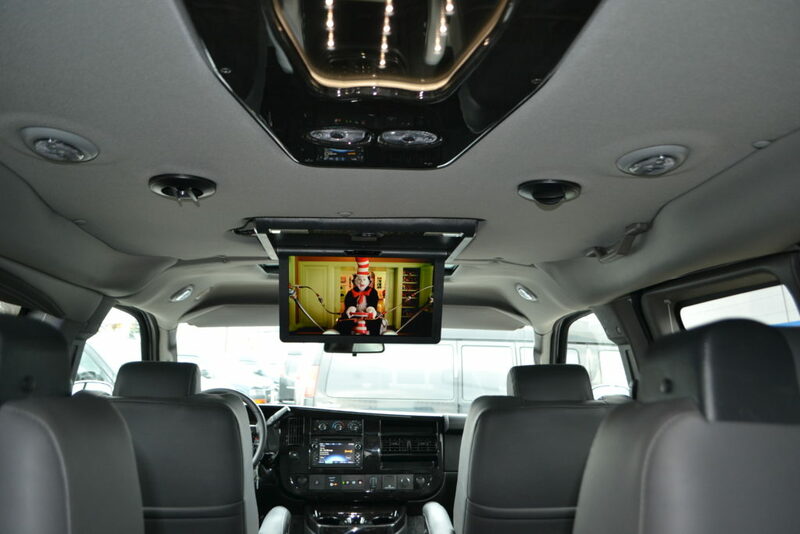 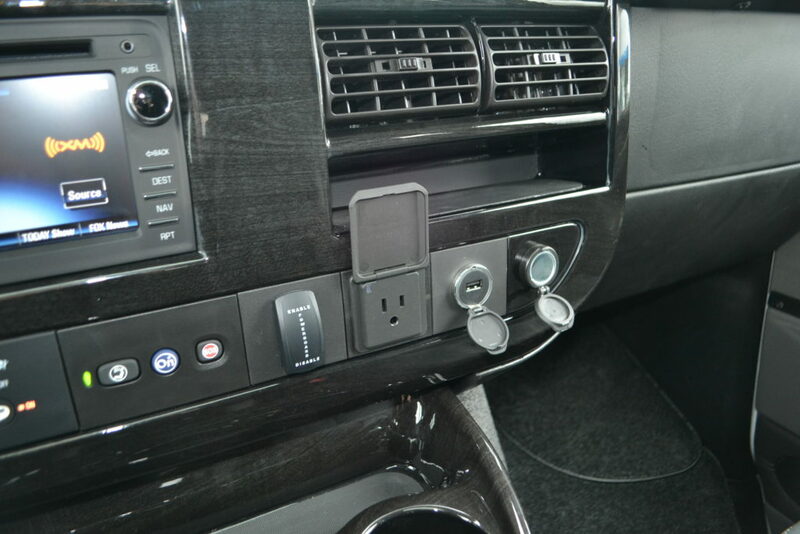 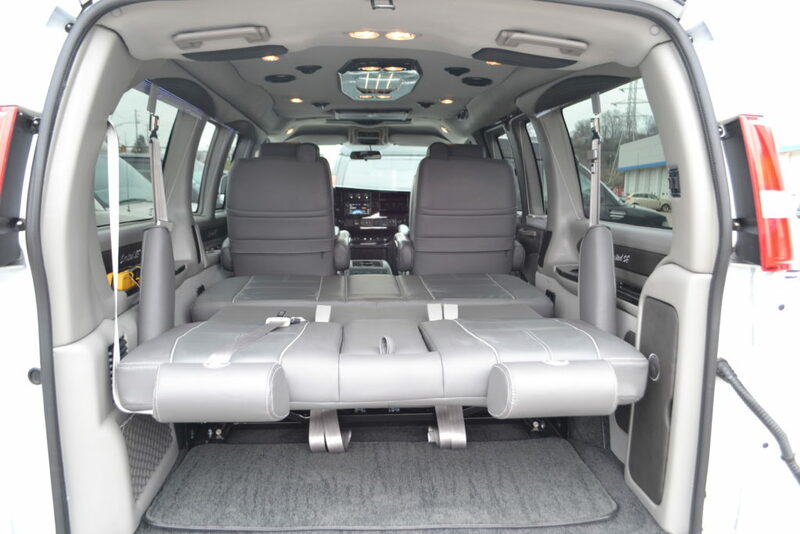 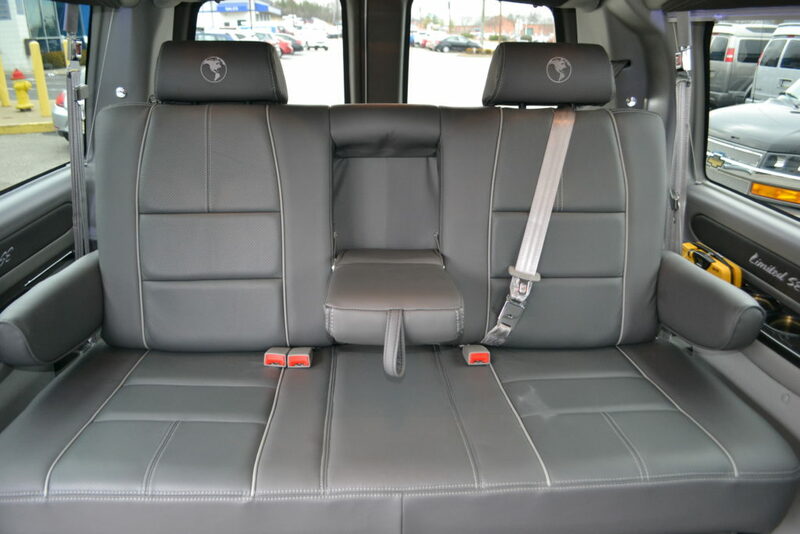 Graphite Leather Seating with Silver Stitch, Legendary Comfort Explorer Van Company Enjoy the Ride. 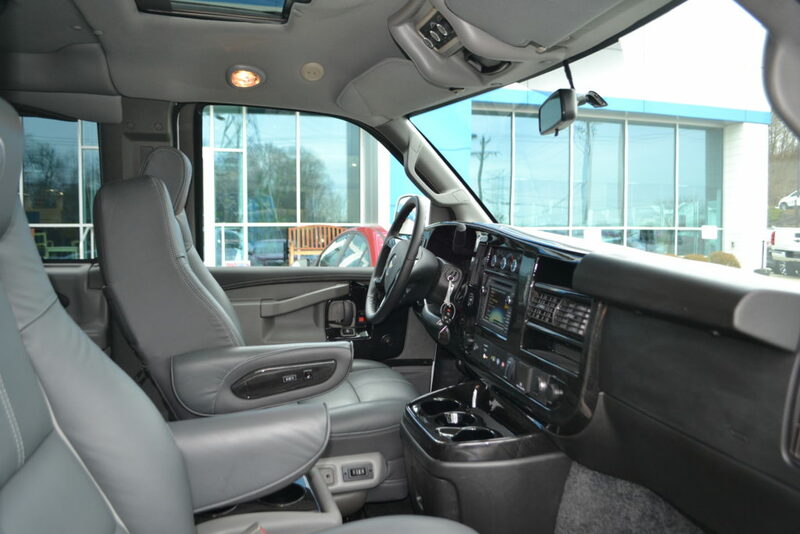 Interior: Graphite Leather Seating with Silver Pipe & Stitch, Dark Graphite Carpet, Gray Sidewalls, “Denali” Hi Gloss Wood Accents & Trim Throughout. 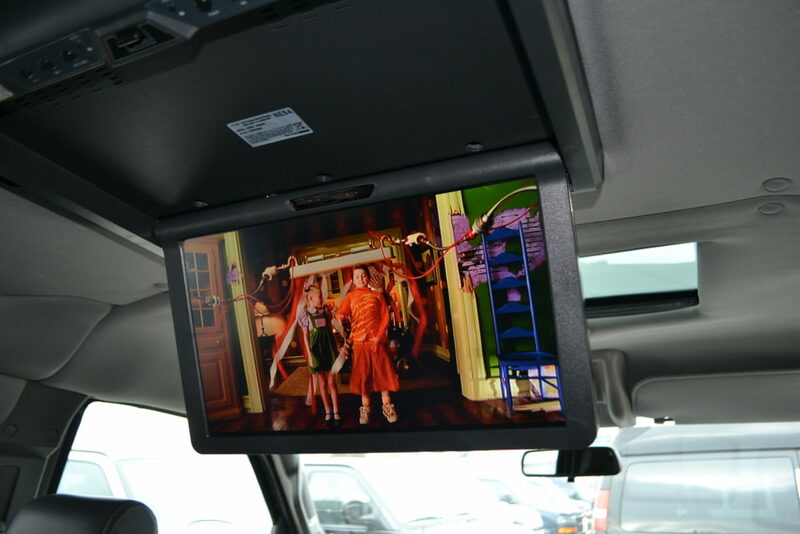 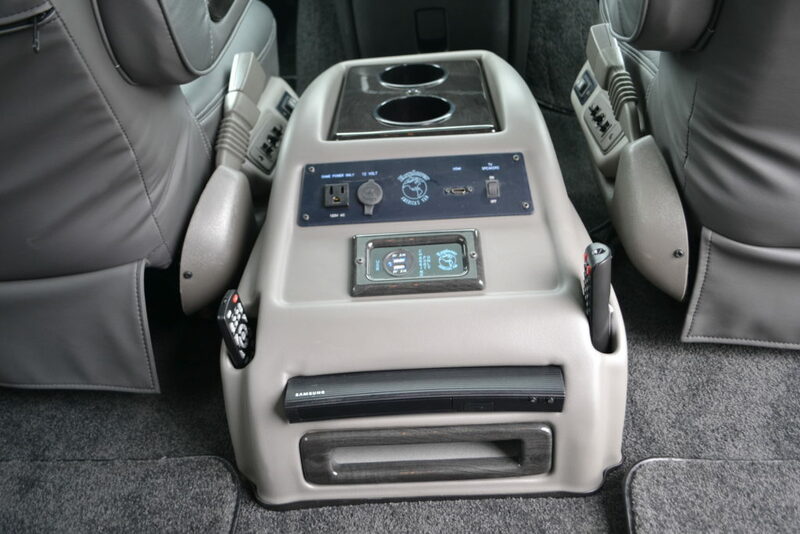 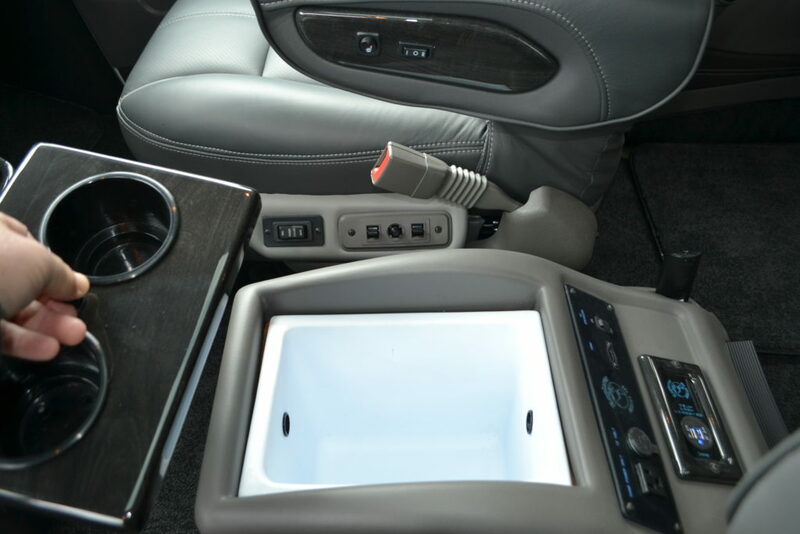 Rear Entertainment System: 15.6″ Flip Down Flat Screen monitor, Samsung Blu-ray DVD Player with USB Input/Port, External Surround Speakers with JBL Powered Sub-woofer Enclosure, Speaker On/Off Switch, Wireless Headphones, 120V Game Power Supply, HDMI Input, Rear USB Charging Ports (4), Redesigned Teardrop Infinity Indirect Accent and Mood Lighting, More reading Lights (2 Per Seat), LED “Lighted” Rear Drink Holders. 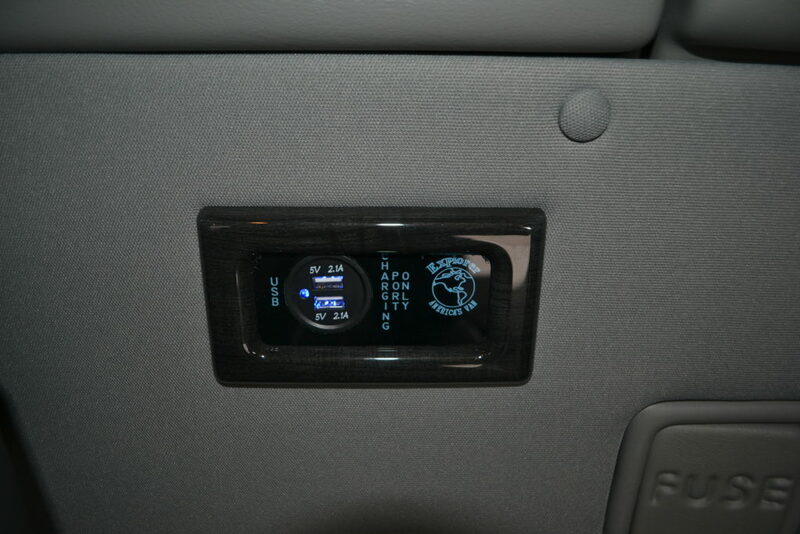 Ground Effects: Yes, LED Lighted Entry Medallion Series II with Power Retractable Board, LED Perimeter Lighting. 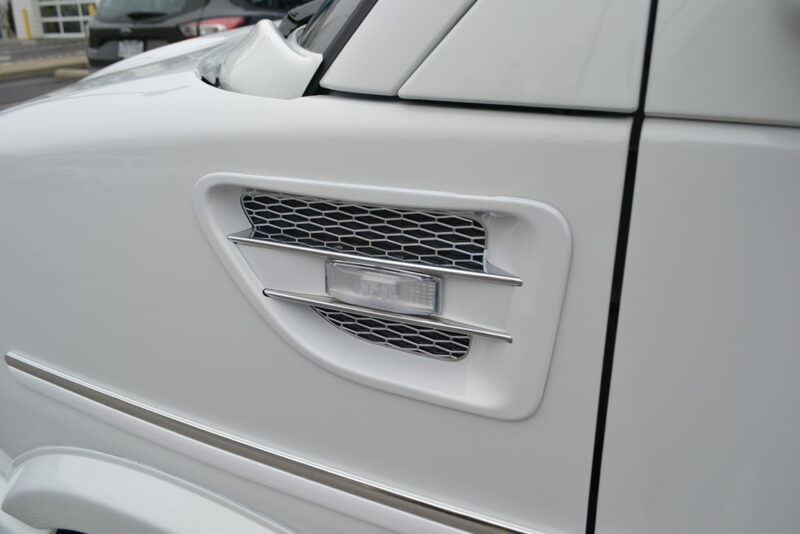 Front Spoiler: Yes, Chrome Bumper with Billet Driving Lights and Front Step Plate/License Plate Holder.